This American Style Porter pays homage to the Brotherhood of the Sleeping Car Porters of the 1920’s. Don’t be fooled by the high IBUs, this dry-hopped porter has a bold nose and a smooth, clean finish. Rich, malty sweetness with caramel. Slight plum and port-like quality. Darker malt character revealing deep chocolate notes. No hop flavor or aroma. No sourness. Very smooth. Clean lager character. Just a touch dry with a hint of roast coffee. This is an American porter for the adventurous. Lush waves of vanilla and hazelnut take drinkers to a very sensuous place. But don’t be fooled, this beer still drinks like it with pleasant balancing chocolate and roasted malts. 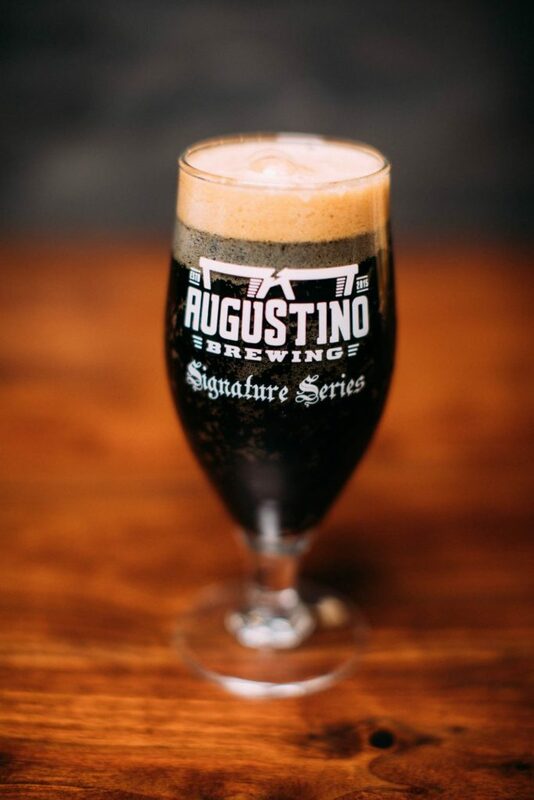 Check out all our beers and food menu online or on the go in our Augustino Brewing Co. app. Available now for both Apple and Android phones.